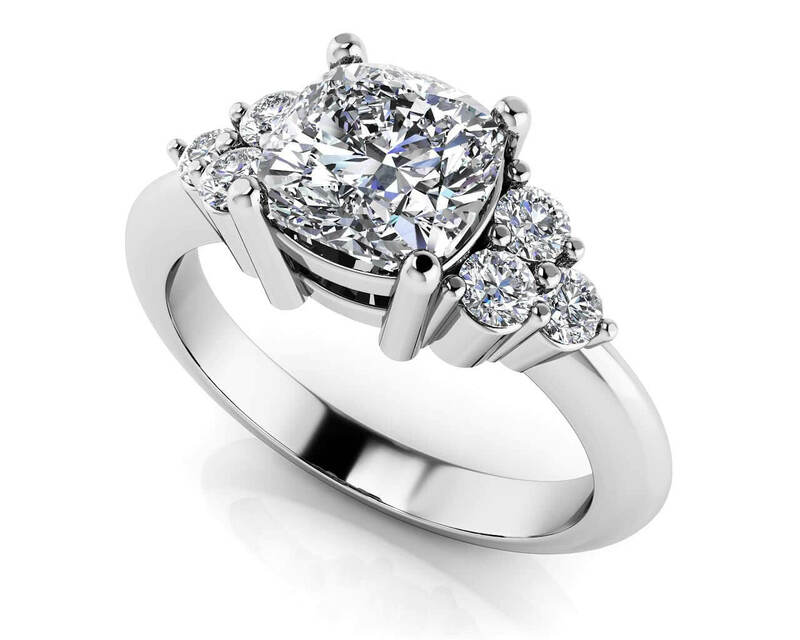 Make a lasting impression with this exquisite Cushion cut Engagement Ring. 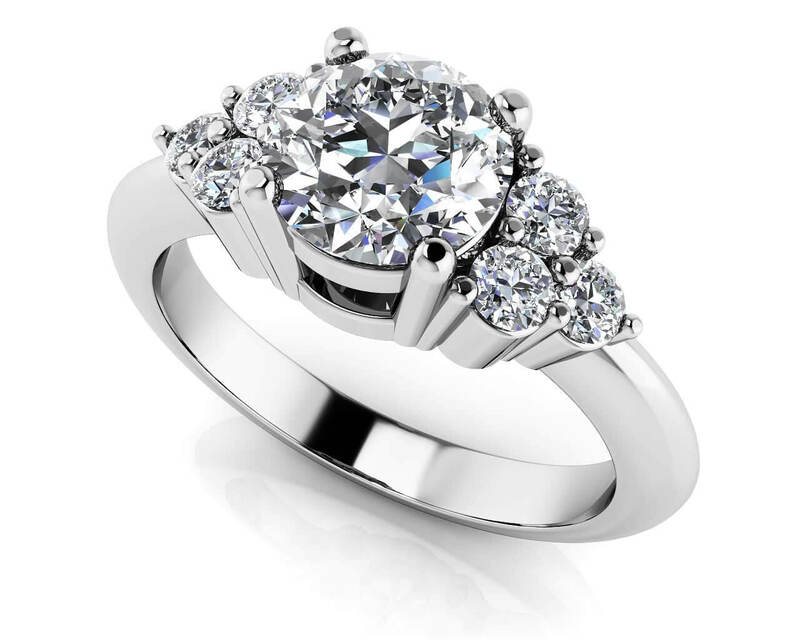 Three diamonds on each side of the shank graciously build up to a beautiful center diamond that is captivated with four prongs. 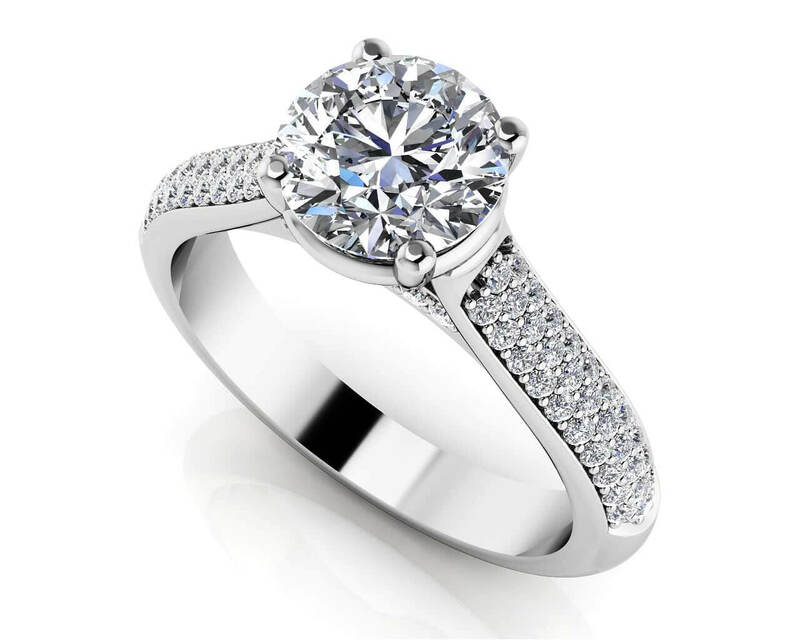 Create the ring of her dreams by selecting the metal type, total carat weight and diamond quality so you can leave a lasting impression.